Routine dental hygiene care is as important for your pet as it is for you. We counsel clients on proper oral hygiene for their pets with dietary management and home care. Even though dental disease is common, harmful, and often times quite painful, it is one of the most overlooked diseases in pets because pets don’t always reveal their discomfort. The disease can travel through the bloodstream if left untreated and can cause many problems, including heart, liver, and kidney disease. Discoloured teeth, bad breath, and even difficulty eating are common signs of dental disease. 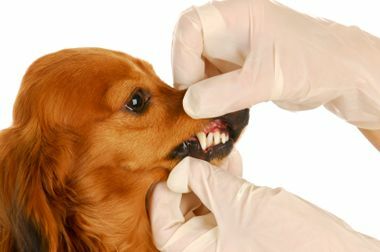 Some owners notice blood in their pet’s mouth, which is another sign they have advanced dental disease. You need to schedule an examination as soon as possible if you notice any of these common signs. At VETS Toronto, we’re here to help. We can show you how to brush your pet’s teeth and provide guidance on other ways to prevent dental disease like dental chews and sprays. We also provide routine examinations and dental cleaning similar to how your dentist cleans your teeth. For more information on dental care, please call us to book an appointment and to learn more.